We'll have plenty of pictures, & you can meet the Owners and Operators themselves. Saturday, February 23, 2019 10:00 a.m. - 9:00 p.m.
Sunday, February 24, 2019 10:00 a.m. - 6:00 p.m.
Thursday, February 28, 2019 11:00 a.m. - 8:00 p.m.
Friday, March 1, 2019 11:00 a.m. - 8:00 p.m.
Saturday, March 2, 2019 10:00 a.m. - 9:00 p.m.
Sunday, March 3, 2019 10:00 a.m. - 6:00 p.m. 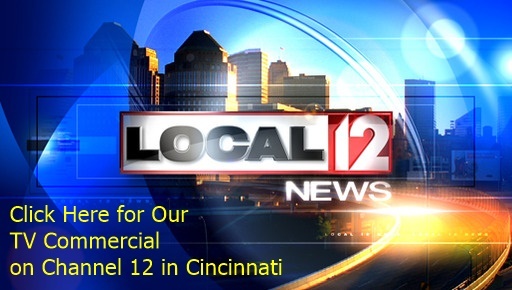 Serving the Greater Cincinnati Area, Northern KY, & ALL Surrounding Counties. Are you tired of spending hundreds, perhaps thousands of Dollars on new gravel every year or so ? & how futile the extreme effort can be. After a while, you realize somethingiimust be done. You most likely already know how expensive it is to order new gravel year after year, but WAIT ! There IS another Solution ! Why not start with the gravel that you Already Have ? NONE of the Driveways in our Photos have Required ANY .New Gravel. After an assessment is made, we'll send out a Tractor with an attachment that is pulled behind. Making several passes, your driveway will be scored out to a depth of approximately 3"- 5 " by hardened "scarifiers", ie; Rippers . The gravel is then mixed back together, and immediately spread back out by a leveling blade. This effectively digs around & through any potholes & washboard, completely removing them, not just filling them in. More importantly, minimizing "layering" - putting a loose topping over a compacted substrate. Finally, a 4000 lb steel roller is used to compact the newly reclaimed surface. As rains seep down, it even further compresses the gravel & finer particles in the redressed surface. It's a simple process, but it really works ! None of the driveways in any of our pictures required any new gravel. If you're selling a home, this is by far the least expensive choice to completely restore an aging driveway in preparation for showing. This procedure works in ALL SEASONS, unless frozen, or too wet. This would be determined at our discression. Visit the links to the left to see dramatic changes others have experienced. Call, or E-Mail now for your free driveway assessment. Parking Lots, Private & Shared Drives & Roadways. Please note that Gravel Tech does NOT haul, sell, or deliver any gravel at all. We do however, provide the labor and equipment to restore a gravel driveway using the existing driveway material.